When it comes to elderly care, people trust the professionals at Home with Help. We offer a comprehensive list of home services for those older individuals who wish to live as independently as possible. 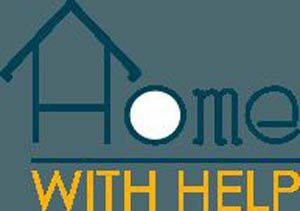 We help you or your loved one stay in the comfort of your own home while receiving the day-to-day help that you need. Even when older people can`t do some things for themselves anymore, they still feel more comfortable in their own, familiar surroundings. At Home with Help we understand this, and we offer services that make that possible. We provide compassionate and ethical home care, respecting your right to independence. Our personalized services include(but are not limited to): General errands Grocery shopping Medication reminders Transport to and from local destinations General home care Alzheimer`s care We customize our services to accommodate most living arrangements, and our care is not restricted to the elderly. We also provide help for people who are recovering from surgery or injury, and even new mothers who need a little assistance after coming home with the baby. Our home care professionals are all thoroughly screened, fully trained, and CPR certified. For elderly care, you can trust the compassionate team at Home with Help. We are a bonded and insured company. We even give you flexibility in selecting your personal caregiver!